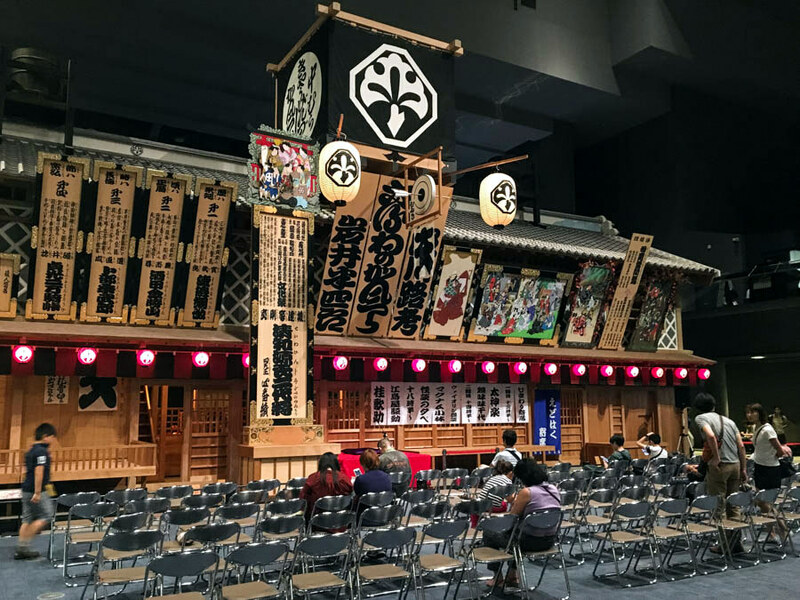 The Edo-Tokyo Museum is a museum of the history of Tokyo during the Edo period. 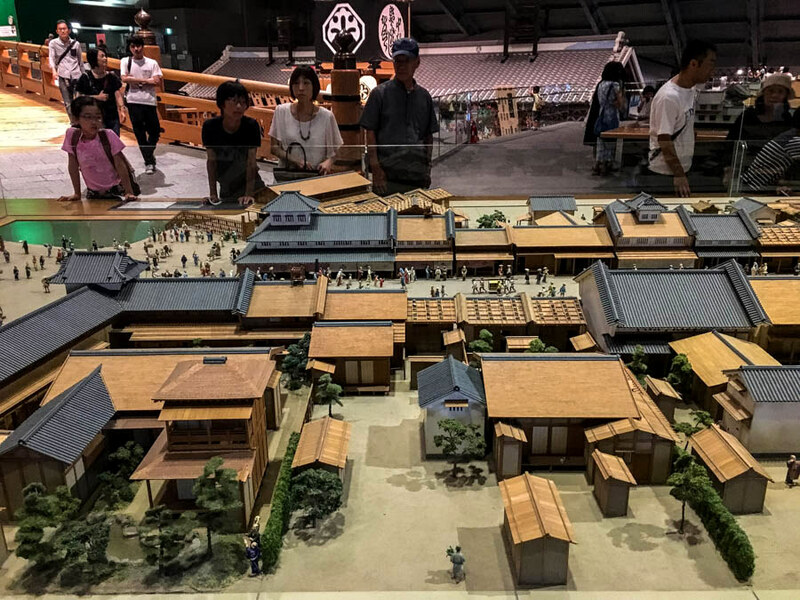 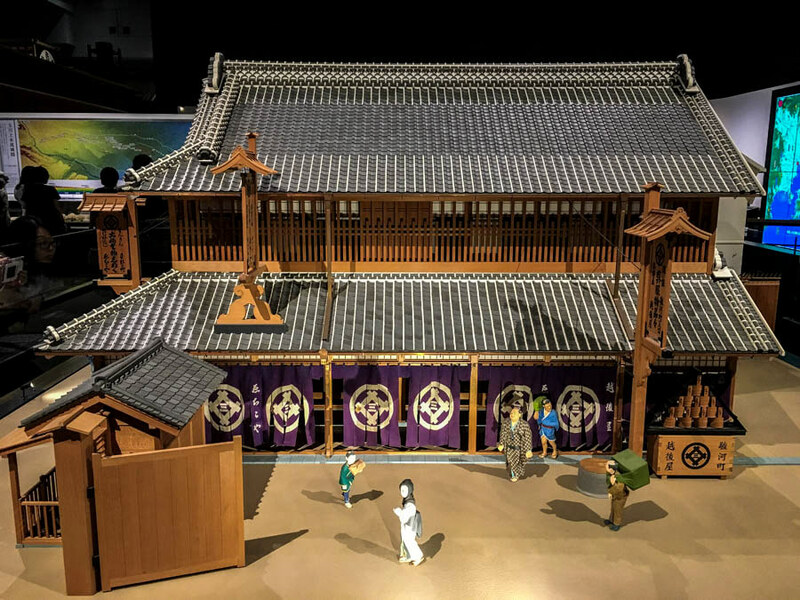 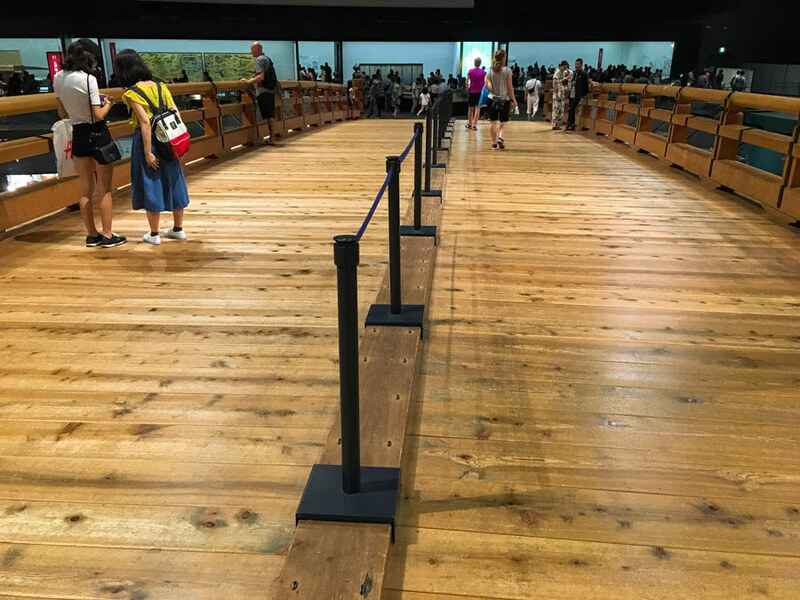 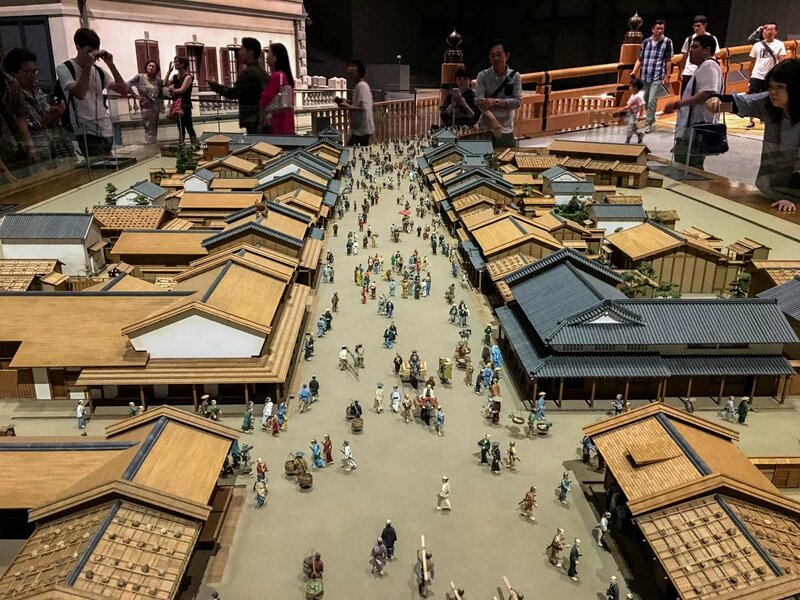 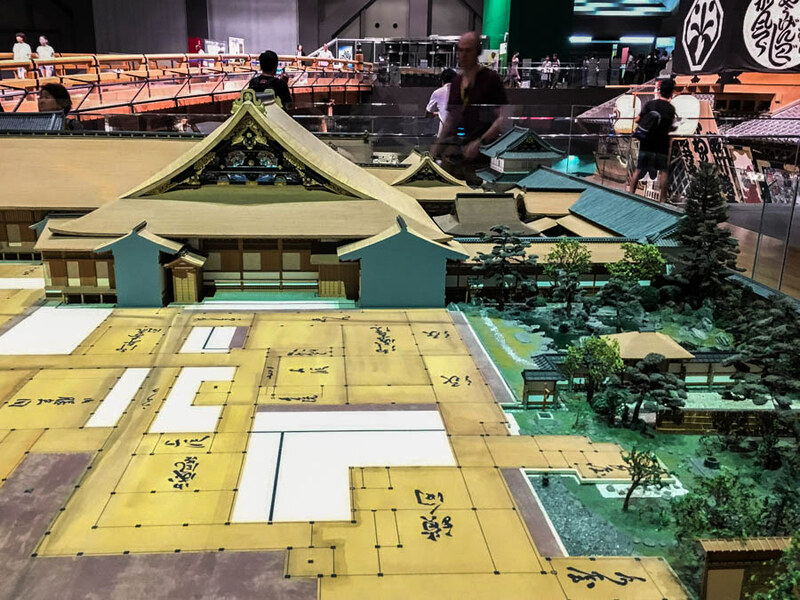 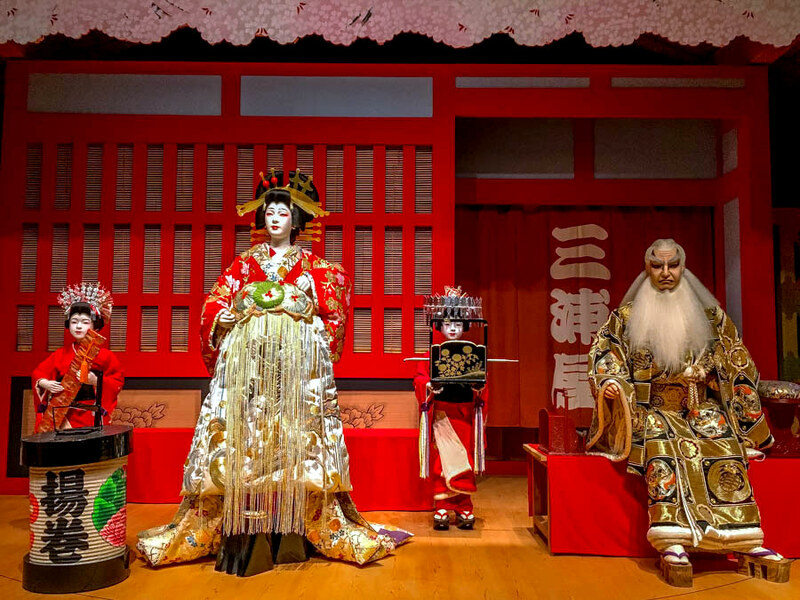 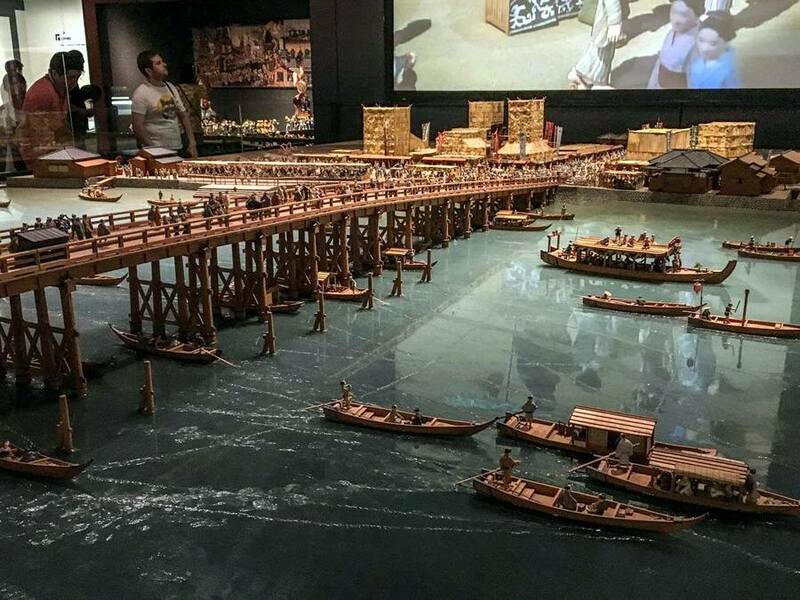 The permanent exhibition area showcases life-size models of Nihombashi Bridge and a playhouse in the Edo period (1603–1868), and small-scale models of the Rokumeikan Hall and the streetscape of Ginza in the Meiji period (1868–1912). 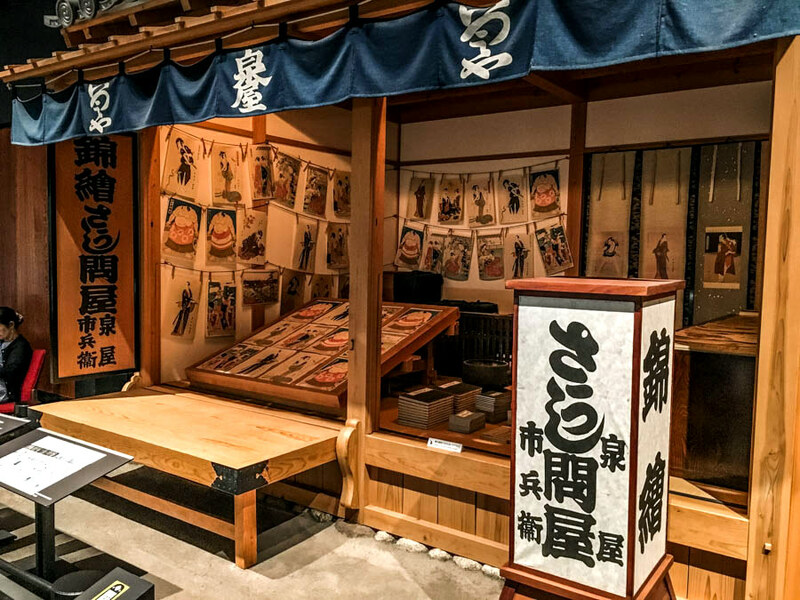 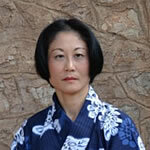 Also special exhibitions are held periodically on various Tokyo related themes. 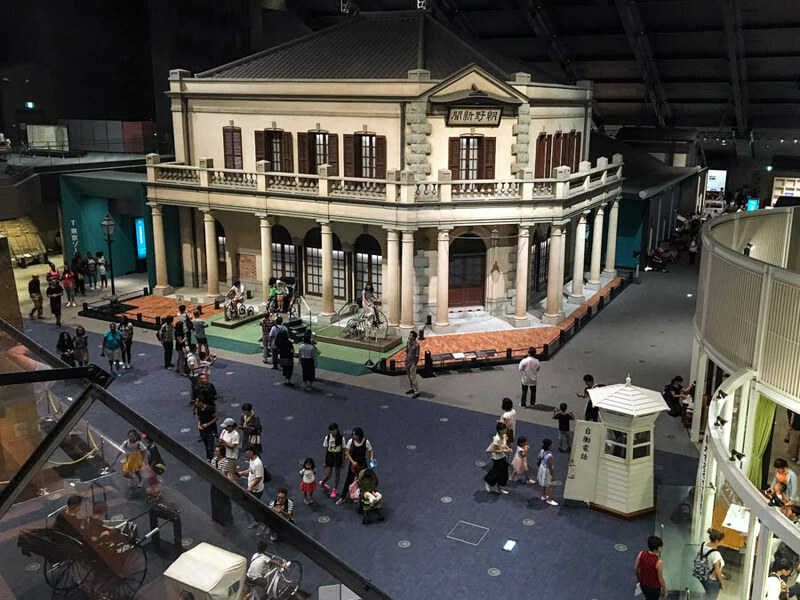 The museum opened its doors in March 1993. 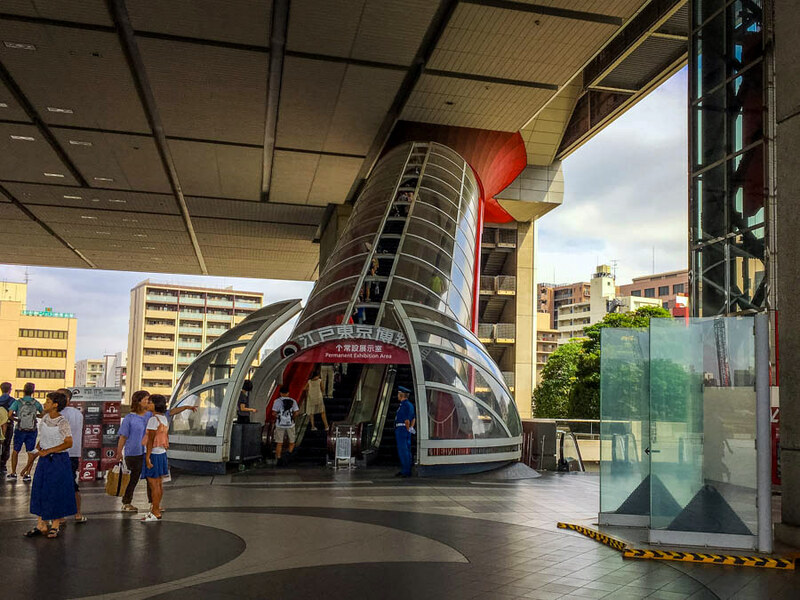 It was designed by architect Kiyonori Kikutake (1928-2011). 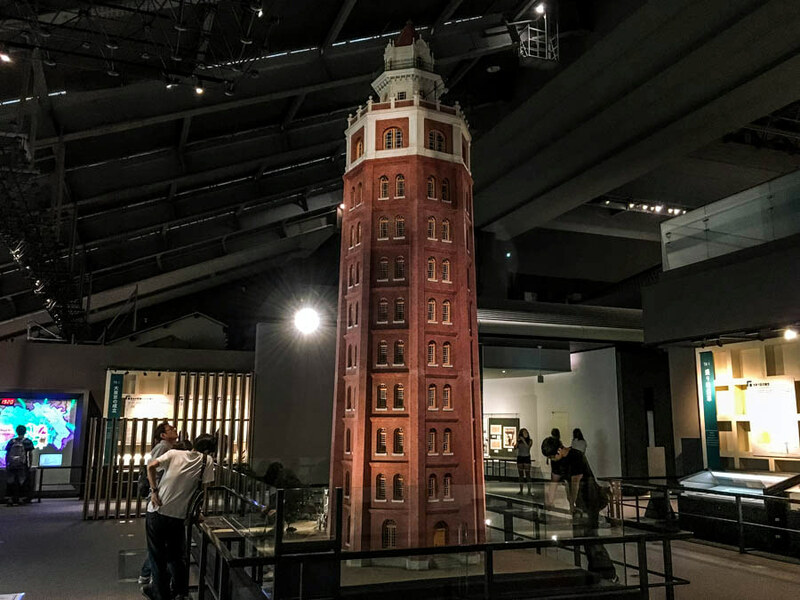 The distinctive elevated shape of the museum building is modelled after an old storehouse in the kurazukuri style. 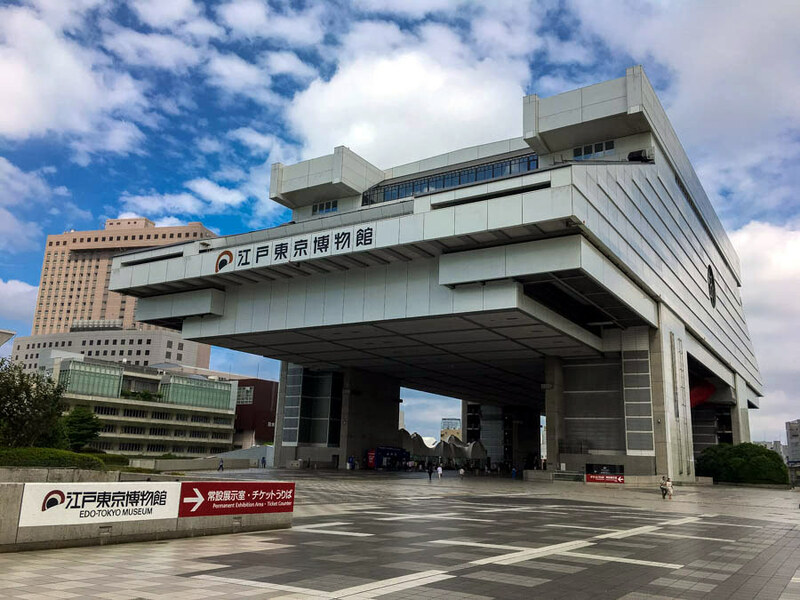 Edo-Tokyo Museum is less than five minutes on foot from Ryogoku Station. 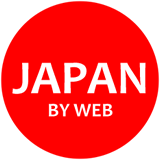 Address: 1-4-1 Yokoami, Sumida-ku. 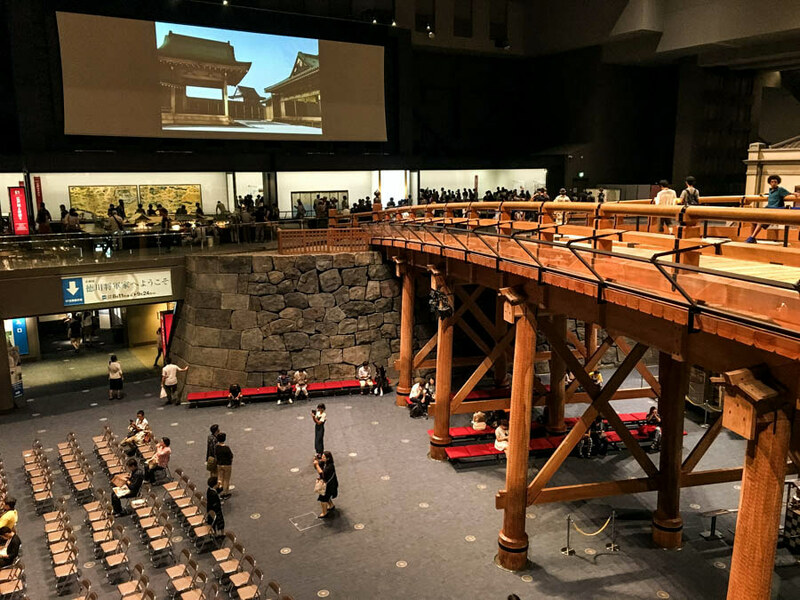 Opening hours: 09:30–17:30 (Saturdays 09:30–19:30).